If you're in the process of negotiating your debt, there are certain legal proceedings that you should be aware of. Collectors and creditors may threaten to sue you in an effort to scare you into paying your debt, but there are legal steps that they have to take in order to collect any money. Law firms have to notify you that they will be handling your account. Law firms also have to inform you that you have 30 days to dispute the debt claim if you deem it to be money that you don't owe. While the claim is being investigated, all efforts to collect on the debt are put on hiatus. Firms also have to notify you of the debt collector they are working with, and whatever information you give them will only be used in an attempt to collect your debt. Out-of-state law firms may not file a lawsuit against you. If a law firm is licensed to work in multiple states, they may have those states listed on the letterhead of the first letter you receive. Law firms are obligated to alert debtors either with a service processor or a letter if the debtor is to appear in court. The letter or processor will also contain what's known as a Complaint. A Complaint contains relevant information such as the sum owed and the reason you are being summoned to court. In most cases, you'll have up to 20 days to file an Answer the debt claim notification. An Answer is simply a formal reply that contains a defense. If an Answer is not received, the debt collector has the right to a ruling stating that they are legally entitled to the full amount of the unpaid debt. 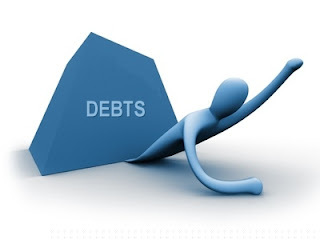 Filing an Answer is usually in the debtor's best interest because it will afford them more time to either gather the necessary funds or makes some kind of arrangement with their debt collector, such as a debt reduction. If a creditor wins the claim, they are then allowed to make plans to collect on the debt. They can collect by taking the money from the debtor's paychecks, through a bank account or they may choose to posses the debtor's automobile or house. While it can be frustrating dealing with law firms and debt collectors, it can be even more so if you aren't aware of your rights and the proper procedure for collecting debt. Do your research and become aware of all options that you can take against debt collectors and the options that they can take against you. One thing to remember is wage attachments are not legal in every state--I don't think bank account garnishments are either except for back taxes. SO many of them fail to follow FDCPA and end up being sued--my boss is friends with a divorce lawyer who recently referred one of his clients to someone who handles these very kinds of claims.